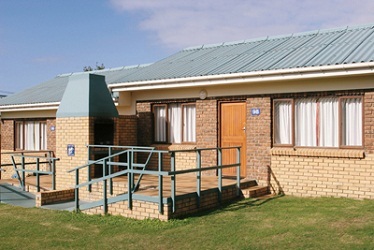 ATKV Hartenbos Beach Resort is a 3 star property in Hartenbos (The Garden Route) that offers accommodation in Oranjehof bedrooms, two to four bed rondavels, camping, caravanning, self-catering flast and beach houses. Hartenbos is ideally located between Mossel Bay and George which offer a few things to see and do in the area including include trout fishing, scuba diving, fishing, hang gliding, canoeing, sailing, walking, hiking, bicycle touring, golf, whale watching, quad biking, bungee jumping, abseiling, snorkelling, shark cage diving, dolphin viewing, boat trips, game drives, the Choo Choo Steam train and visiting many restaurants and bars in the area. This 3 star property offers accommodation in Oranjehof bedrooms that all come fully equipped with one bedroom, two or three single beds, fridge, cutlery, kettle, communal ablution facilities and kitchen. The two to four bed rondavels come with twin, single or bunk beds, one or two bedrooms, TV (DSTV) in some of the units, kettle, stove, fridge, microwave, sleeper couches in some of the units and joint ablution facilities or private bathrooms. The beach houses offers six to eight beds, two to four bedrooms, sleeper couches in some units, kitchen, TV (DSTV) and one or two bathrooms. 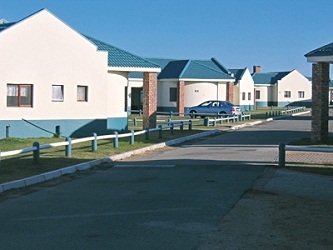 The caravan park offers 570 stands, powerpoints and ablution facilities. ATKV Hartenbos also offers conferencing for up to 1 000 delegates, putt putt, tennis courts, trampoline, swimming pools, bowls and beach nearby. Cancellations longer than 30 days before the date of arrival will forfeit 25% of the required deposit.Cancellations between 16 to 29 days of the date of arrival will forfeit 50% of the required deposit.Cancellations between 0 to 15 days of the date of arrival will forfeit 100% of the required deposit.In the event of cancellation as a result of death (or other acceptable reasons beyond the control of the party involved) only an administration fee of R50 will be charged upon submission of substantiating evidence. for ATKV Hartenbos Beach Resort.